Customers who use Company Host can obtain free disk space, data transfer, and email storage if they use their services consistently with these paragraphs. Company Host is designed to serve the web hosting needs of small, independently owned and operated businesses in a single country. It is not appropriate to use our services to support large enterprises or internationally based businesses with a sustained demand that places undue burden on our systems or negatively impacts use by small, independently owned and operated businesses. Company Host is a shared web hosting service, which means that a number of customers’ web sites and other email or storage services are hosted from the same server. Company Host uses abuse controls to help ensure that use of our services does not adversely affect the performance of our system or other customers’ sites. It is not appropriate to use an account primarily as an online storage space or for archiving electronic files. Company Host will make every effort to help you move your website to us. Transfers are provided as a courtesy service for up to 10 cPanel accounts (additional migrations are available at our standard hourly admin rate). We must be able to obtain a FULL cPanel backup from your current host and the compressed account size shall not exceed 1 GB. Transfers outside of the thirty (30) day period will incur a charge; please contact a member of our Transfers department to receive a price quote. In no event shall Company Host will be held liable for any lost or missing data or files resulting from a transfer to or from Company Host. You are solely responsible for backing up your data in all circumstances. You do not have to worry about hitting a storage limit if you use our services consistently with the Terms of Service and these paragraphs. Company Host will increase your space along with your appropriate small business needs, but our abuse controls may impact the rate of growth or your folder size, and there may be a short delay while we assess your usage. In some cases, creating additional folders or subfolders will help ensure that the system works well for everyone. Company Host may offer certain third party products and services. Such products and services may be subject to the terms and conditions of the third party provider. Discounts, promotions and special third party offers may be subject to additional restrictions and limitations by the third party provider. You should confirm the terms of any purchase and the use of goods or services with the specific third party provider with whom you are dealing. Company Host does not make any representations or warranties regarding, and is not liable for, the quality, availability, or timeliness of goods or services provided by a third party provider. 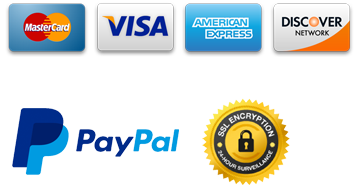 You undertake all transactions with these third party providers at your own risk. We do not warrant the accuracy or completeness of any information regarding third party providers. Company Host is not an agent, representative, trustee or fiduciary of you or the third party provider in any transaction. The following is the entire Acceptable User Policy (“AUP”) agreement between Company Host (“Company Host “) and the personal or corporate account holder (“YOU/YOUR/Customer”). Company Host provides World Wide Web Hosting, Marketing, and Development. Company Host has certain legal and ethical responsibilities consisting with the use of its servers and equipment involved in these services. Company Host general policy is to act as a provider of Internet presence. Company Host reserves the rights to suspend or cancel a customer’s access to any or all services provided by Company Host when we decide that the account has been inappropriately used. Any attempt to undermine or cause harm to a server or customer of Company Host is strictly prohibited. Company Host will strongly react to any use or attempted use of an Internet account or computer without the owner’s authorisation. Such attempts include “Internet scamming” (tricking other people into releasing their passwords), password theft, security hole scanning, etc. Any unauthorised use of accounts or computers by YOU, whether or not the attacked account or computer belongs to Company Host, will result in action against YOU. Possible actions include warnings, account suspension or cancellation, as well as civil or criminal legal action, depending on the seriousness of the attack. IMPORTANT NOTE – Company Host has the right to discontinue service, or deny access to anyone who violates our policies or the terms and conditions shown below WITHOUT WARNING or PRIOR NOTICE. No refunds of fees paid will be made if account termination is due to violation of the terms outlined below. YOU may not run IRC, bots or clients on shared servers. Unacceptable uses also include, but are NOT limited to: Bulk emailing, unsolicited emailing, newsgroup spamming, pornographic content, illegal content, copyright infringement, trademark infringement, ware sites (including links to/from), cracks, software serial numbers, proxy-relaying, link farming (the act of or by use of scripts), link grinding, link-only sites, spamdexing, FFA (Free-For-All) and/or anything else determined by Company Host to be unacceptable use of our services including abuse of server resources. Company Host will not tolerate any form of storage space abuse. At least 90% of YOUR web pages (“HTML”) must be ‘linked’ with files (GIF, JPEG, etc.) stored on Company Host servers. Website that are found to contain either/or no HTML documents, a large number of unlinked files are subject to files deletion or account cancellation at the discretion of Company Host Management (“MANAGEMENT”), with or without prior notice. If YOU do not qualify for the free service, disk space will go unmonitored until YOU reach the amount allocated to YOUR specific web hosting plan (“PLAN”). Thereafter, normal website data storage costs £5.99/500MB/month will be billed to YOUR account. If you want to pre-pay for disk space overages, you will be billed £5.99/500MB/month. YOU will have 3 days to pay for your overages. Failure to do so will result in YOUR website being disabled within 3 days of YOUR first notice. This does not apply to co-location clients. Co-location clients will be billed for the overages based on switch reports. Co-location clients must pay for the overages IMMEDIATELY once billing or Company Host has the sole decision to deactivate any and all servers. Company Host will be the sole arbiter as to what constitutes a violation of this provision. The intention of Company Host is to provide a large bandwidth to transfer web documents, and not an offsite storage area for electronic files. If YOU violate this condition, YOU will be notified and given 48 hours to remedy the problem. Failure to do so will result in YOU being billed for the overages. If YOU do not qualify for the free service, traffic will go unmonitored until YOU reach the amount of quota allocated to YOUR specific PLAN. Thereafter, normal data transfer cost of £10.99/1GB/month will be billed to YOUR account. If YOU want to pre-pay for bandwidth overages, YOU will be billed £10.99/1GB/month. Company Host takes a zero-tolerance approach to SPAM originating from its servers or for spam advertising of domains hosted within our network. If found, we will charge YOU up to £25 per unsolicited email message sent and delete YOUR account with any prior notice. NOTE – If YOU use the services of another provider to promote a website hosted by or through Company Host (“spamvertising”), then the provisions of the above policy shall apply as if the SPAM were sent through our servers. (1.) COVERAGE – This 99.99% uptime guarantee applies to any Customer in good financial standing with Company Host at the time of a service outage. (2.) SERVICE LEVEL AGREEMENT (“SLA”) & SPECIFICATIONS Company Host endeavors to have the content of YOUR website available for http access by any party in the world 99.99% of the time. Network downtime (“unavailability”) is defined as 100% packet loss from Company Host to its backbone providers. Downtime is measured past 10 minutes after notification of network failure via Company Host’s online ticketing system. If the ticketing system itself is unreachable, the ticket must be started by calling the Company Host NOC. Company Host’s administrators will determine the end of the downtime by a trace route to YOUR machine from outside the Company Host network. (3a.) SHARED HOSTING CREDITS – In the event that YOUR website is unavailable for less than 100%, Company Host will credit the following month’s service fee as follows. YOUR credit shall be retroactive and measured in 24 hours a day of a calendar month, with the maximum credit not exceeding 50% of the monthly service charge for the affected month. 89.9% or below – YOUR account will be credited 50% of your monthly hosting fee (3b.) MANAGE DEDICATED SERVERS – For managed dedicated server Customers, if the uptime is between 98.9% and 99.9% for any particular month, credit shall be retroactive and equivalent to the difference between the guaranteed level of availability of the Customer’s services during the month and the calculated actual level of availability of the Customer’s services, multiplied by the actual charges incurred by YOU for the services during that monthly period. In addition, for managed dedicated servers, YOU may be entitled to additional credits as calculated below measured 24-hours a day in a calendar month, with the maximum credit not to exceeding 25% of the monthly service charge for the affected month. In order for YOU to receive a credit on YOUR account, YOU must request such credit within seven (7) days after YOU experienced the downtime. You must request credit by sending an e-mail message to billing@companyhost.co.uk. For security, the body of this message must contain YOUR account number, the dates and times of the unavailability of YOUR website, and such other customer identification requested by Company Host. Credits will usually be applied within sixty (60) days of YOUR credit request. Credit to YOUR account shall be YOUR sole and exclusive remedy in the event of an outage. YOU breaking any agreement policy in Company Host’s “Terms & Conditions and AUP” causing a machine to fail as a result. Company Host provides technical support for YOU that encompasses within our area of expertise only. Such expertise includes assistance, troubleshooting, and debugging of our cPanel control panel interface, servers within our immediate responsibility and any other hosting related issues. However, in under no circumstances is Company Host neither obligated to help YOU in the installations of new application modules, templates and/or programming languages, nor in providing assistance for any errors produced by any applications that have been modified by YOU previously. We will only provide assistance in making sure any Easy (Apps) applications that are installed through the cPanel control panel interface are installed as directed. Each shared web hosting account comes with its own CGI-BIN. YOU are free to use any CGI scripts YOU wish, however we reserve the rights to disable any CGI script that effects normal shared server operation without prior notice. (this section does not apply to managed dedicated servers). We do not allow YOU to install YOUR own chat rooms within a shared hosting account, without approving it with Company Host. This includes, but not limited to, chat applications written in PHP, Perl, CGI, Python, Ruby, etc. Any web application that provides ‘real-time’ chat is also not permitted. Most chat rooms tend to be large system hogs and we cannot allow it as an account option. However, web based forums such as vBulletin, phpBB or similar forum scripts are acceptable. Company Host installed and provides special file-servers in our network infrastructure for YOUR benefit as a means of storage for electronic files and applications that are not dynamically generated and is downloadable in nature. Files such as MP3, AVI, MID, MIDI, MPG, MPEG, MOV, ZIP, RAR, EXE and anything else we deemed as downloadable and not dynamically generated scripting languages are to be stored within these file-servers, away from the web- servers. This Policy does not apply for image files formats such as JPG, JPEG, GIF, PNG, and BMP. In addition, all electronic files stored within Company Host’s file-servers must be legally- owned and be accompanied with a valid license and/or copyright. This includes and is not limiting to MP3, AVI, MID, MIDI, MPG, MPEG, MOV, EXE, ISO. Should we discover any unlicensed and/or illegal files within YOUR account, the files will be subjected to deletion without any further notifications. File-servers will not be backed up. YOU are advised to have YOUR own backup locally or elsewhere other than within the Company Host’s servers. If YOU are found to not adhere to this Policy, the offending material(s) will be deleted from YOUR hosting account without any prior notice. This service is only available for Company Host’s SHARED-HOSTING customers. We do not allow YOU to send outbound mail to more than 20 recipients at any one given time and/or more than 1,000 pieces of e-mail per day from a shared hosting account with a maximum file size of 20MB per email message. If YOU violate Company Host policies persistently in email activities, YOUR account will be suspended and deleted. All accounts are set up on a pre-pay basis. Setup fees are charged for all new accounts as well as major account changes and are non-refundable. All pricing is guaranteed for the term of pre- payment. Company Host reserves the right to change prices at any time, unless other terms have been agreed upon. Any account not brought current within a week (7 days) of e-mail notice or exceeding this time frame in any way is subject to suspension. YOU are responsible for all fees owed on the account from the time it was established to the time that YOU notify Company Host to request for termination of services. All payment is in UK currency. Company Host will bill each client £30 per returned check, per wire transfer received and per credit card charge back received. All Company Host accounts are setup on anniversary billing cycles. YOUR particular billing cycle corresponds to the contract length that was initially chosen at setup. YOUR account will automatically renew at this length. There is no fee to change to a shorter billing cycle at the end of the current cycle. However, if you wish to change to a shorter billing cycle during a current cycle, there will be a £30.00 fee. Please contact the billing department at billing@ companyhost.co.uk should you wish to change your anniversary billing cycle. It is your responsibility to ensure that your payment information is up to date, and that all invoices are paid on time. You agree to pay for the Services in advance of the time period during which such Services are provided. Subject to applicable laws, rules, and regulations, payments received will be first applied to the oldest outstanding invoice in your billing account. PLEASE NOTE THAT ALL PAYMENTS ARE PROCESS BY PAYPAL AND STRIPE. Unless otherwise provided, you agree that until and unless you notify Company Host of your desire to cancel the Services, you will be billed on an automatically recurring basis to prevent any disruption to your Services, using your credit card or other billing information on file with us. Listed fees for the Services do not include any applicable sales, use, revenue, excise or other taxes imposed by any taxing authority. Any applicable taxes will be added to Company Host’s invoice as a separate charge to be paid by you. All fees are non-refundable when paid unless otherwise stated. Company Host reserves the right to cancel a service at any time. All fees paid in advance of cancellation will be pro-rated and paid by Company Host if we institutes our right of cancellation. Any violation of policies, which results in extra costs billed to YOU (i.e. transfer, space etc.). All of Company Host’s PLANS are backed by a 30-day money back guarantee. If YOU are not completely satisfied with our services or support within the first 30 days of YOUR contract, YOU will be given a full refund of the contract amount excluding setup fees, domain registration fees, add-on/upgrade fees and overages. Setup fees are refundable only if the account order is cancelled prior to account activation. If YOU cancel, the full contract amount less any setup fees and overages will be refunded if Company Host is notified within the first 30 days following activation. This policy does not apply to any additional services such as overages, referrer logs, real audio/video, additional disk space, additional pop accounts, domain registration fees, etc. For credit card payment, refunds will be made to a PayPal account made available by the Customer after the 120th day. Refund policy will not be made available to Customers using wire transfers. Company Host may offer subsequent promotional rates or special offers, the terms of which may or may not be more favorable than the terms and conditions for YOUR Services. Any such promotions or modifications shall not affect YOUR obligations under this Agreement. Promotional fees may be subject to additional terms and conditions which, to the extent they conflict with the terms of this Agreement, shall govern. Different promotional fees and special offers may not be combined together. Material accessible to you through Company Host’s services may be subject to protection under the British, United States or other copyright laws, or laws protecting trademarks, trade secrets and proprietary information. Except when expressly permitted by the owner of such rights, YOU must not use Company Host or its servers and network in a manner that would infringe, violate, dilute or misappropriate any such rights, with respect to any material that you access or receive through the Company Host network. If YOU use a domain name in connection with Company Host or similar service, YOU must not use that domain name in violation of any trademark, service mark, or similar rights of any third party. Customers may not use the Company Host network with an attempt to circumvent user authentication or security of any host, network, or account. This includes, but is not limited to, accessing data not intended for YOU, logging into a server or account YOU are not expressly authorised to access, password cracking, probing the security of other networks in search of weakness, or violation of any other organisation’s security policy. YOU may not attempt to interfere or deny service to any user, host, or network. This includes, but is not limited to, flooding, mail bombing, or other deliberate attempts to overload or crash a host or network. Company Host will cooperate fully with investigations for violations of systems or network security at other sites, including cooperating with law enforcement authorities in the investigation of suspected criminal violations. Users who violate system or network security may incur criminal or civil liability. The Services, including all related equipment, networks and network devices are provided only for authorised customer use. Company Host may, but is not obligated to, monitor our systems, including without limitation, to ensure that use is authorised, to facilitate protection against unauthorised access, and to verify security procedures, survivability, and operational security. During monitoring, information may be examined, recorded, copied and used for authorised purposes. By using the Services, you consent to monitoring for these purposes. Any account found connecting to a third party network or system without authorisation from the third party is subject to suspension. Access to networks or systems outside of your direct control requires the express written consent of the third party. Company Host may, at our discretion, request documentation to prove that your access to a third party network or system is authorised. Any account that is found to be compromised may be disabled and/or terminated. If you do not clean up your account after being notified by Company Host of an ongoing issue, we reserve the right to keep your account disabled. Upon your request, Company Host may clean-up your account for an additional fee. Company Host reserves the right to migrate your account from one data centre to another in order to comply with applicable data centre policies, local law or for technical or other reasons without notice. (b.) Ensuring that the content and materials appearing within the store or related to YOUR products do not violate or infringe upon the rights of any third party. (i) Grant to Company Host a license to cache the entirety of YOUR website, including content supplied by third parties, hosted by Company Host under this Agreement. (iv) Company Host shall maintain and control ownership of all IP numbers and addresses that may be assigned to YOU by Company Host. Company Host reserves, in its sole discretion, the right to change or remove any and all such IP numbers and addresses. (v) YOU agree to pay Company Host prior to the effectiveness of the desired domain name registration, then-current amount set forth in the Company Host price schedule for the initial registration of the domain name and, should YOU choose to renew the registration, subsequent renewals of the registration. All fees are non-refundable, in whole or in part, even if YOUR domain name registration is suspended, canceled or transferred prior to the end of YOUR current registration term. Company Host reserves the right to change fees, surcharges, renewal fees or to institute new fees at any time, for any reason, at its sole discretion. YOUR requested domain name will not be registered unless and until we receive actual payment of the registration fee, and have confirmed YOUR registration in an email from Company Host to the email address indicated in YOUR registration application. In the event of a chargeback by a credit card company (or similar action by another payment provider allowed by Company Host) in connection with the payments of the registration fee for YOUR domain name registration, YOU agrees and acknowledges that the domain name registration shall be transferred to Company Host as the paying entity for that registration to the registry and that we reserve all rights regarding such domain name including, without limitation, the right to make the domain name available to other parties for purchase. Company Host will reinstate YOUR domain name registration solely at Company Host discretion, and subject to our receipt of the initial registration or renewal fee and our current reinstatement fee. (x) Company Host reserves the right to change fees, surcharges, renewal fees or to institute new fees at any time, for any reason, at its sole discretion. YOUR requested domain name will not be registered unless we receive actual payment of the registration fee, and have confirmed YOUR registration in an email from Company Host to the email address indicated in YOUR registration application. In the event of a chargeback by a credit card company (or similar action by another payment provider allowed by Company Host) in connection with the payments of the registration fee for YOUR domain name registration, YOU agrees and acknowledges that the domain name registration shall be transferred to Company Host as the paying entity for that registration to the registry and that we reserve all rights regarding such domain name including, without limitation, the right to make the domain name available to other parties for purchase. Company Host will reinstate YOUR domain name registration solely at Company Host discretion, and subject to our receipt of the initial registration or renewal fee and our current reinstatement fee.
. Domain name in Registrar Lock Status and there is no request from Registered Name Holder or Administrative Contact for the status change. YOU agree and acknowledge that the failure or success of a domain name transfer will be his/her sole responsibility, and Company Host will not be held liable for the failure of a domain name transfer for any reason. Company Host reserves the right to refuse service to anyone. YOU may only use Company Host server for lawful purposes and our services may not be used for illegal purposes or in support of illegal activities. We reserve the right to cooperate with legal authorities and/or injured third parties in the investigation of any suspected crime or civil wrongdoing. If anything is not legal in the United Kingdom, it is not permitted to reside on our servers. Transmission, distribution or storage of any material in violation of any applicable law or regulation is prohibited. This includes but not limiting material protected by copyright, trademark, trade secret or other intellectual property right used without proper authorisation, and material that is obscene, defamatory, constitutes an illegal threat, or violates export control laws. Examples of non-acceptable content or links: “Pirated Warez”, OGG, AVI, MPEG, ISO, “Hacker programs or archives”, “Copyrighted Digital Movie Copies (DIVX)” and “Unlicensed MP3”. The designation of any materials as such described above is left entirely to the discretion of Company Host management. If illegal content or usage is found, the account will be suspended and/or terminated. YOU agree that Company Host may disclose any and all YOUR information including assigned IP numbers, account history, account use, etc. to any law enforcement agent who makes a written request without further consent or notification. Regardless of the place of signing this agreement, YOU agree that for purposes of venue this contract is entered in Bromley, Kent, and any dispute will be litigated or arbitrated in Bromley, Kent. Defendants further waive all objections to venue and acknowledge that venue in any such litigation will be held in Bromley courts. IN NO EVENT SHALL COMPANY HOST’S MAXIMUM LIABILITY EXCEED FIVE HUNDRED (£500.00) POUNDS. (1) ANY INJURY TO PERSON OR PROPERTY CAUSED BY ANY PRODUCTS SOLD OR OTHERWISE DISTRIBUTED IN CONNECTION COMPANY HOST’S SERVER. (3) COPYRIGHT INFRINGEMENT AND ANY DEFECTIVE PRODUCTS SOLD TO CUSTOMER FROM COMPANY HOST’S SERVER. COMPANY HOST WILL NOT BE RESPONSIBLE FOR ANY DAMAGES YOUR BUSINESS MAY SUFFER. COMPANY HOST MAKES NO WARRANTIES OF ANY KIND, EXPRESSED OR IMPLIED FOR SERVICES WE PROVIDE. COMPANY HOST DISCLAIMS ANY WARRANTY OR MERCHANTABILITY OR FITNESS FOR A PARTICULAR PURPOSE. THIS INCLUDES LOSS OF DATA RESULTING FROM DELAYS, NON-DELIVERIES, WRONG DELIVERY, AND ANY AND ALL SERVICE INTERRUPTIONS CAUSED BY COMPANY HOST AND ITS EMPLOYEES. COMPANY HOST RESERVES THE RIGHT TO REVISE ITS POLICIES AT ANY TIME. ALL SUB-NETWORKS, RESELLERS AND DEDICATED SERVERS OF COMPANY HOST MUST ADHERE TO THE ABOVE POLICIES. FAILURE TO FOLLOW ANY TERM OR CONDITION WILL BE GROUNDS FOR IMMEDIATE ACCOUNT CANCELLATION. Company Host follows the strict guidelines of our customer privacy statement. Please make sure you understand this statement fully.